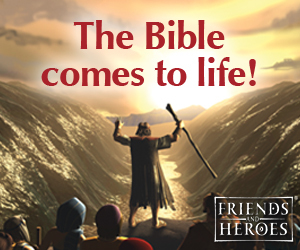 This series of lessons use different types of garden flowers to help explain biblical concepts. 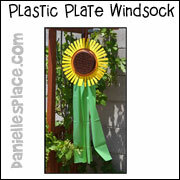 Children make garden-related crafts and play outside games to reinforce the lessons. 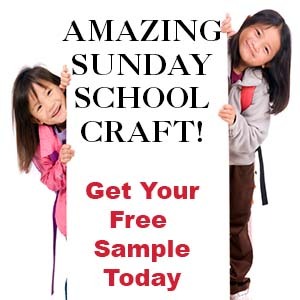 The complete lessons with crafts, activities and songs are available on The Resource Room. 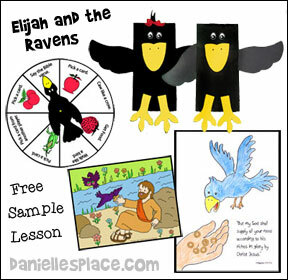 A Complete Bible Lesson with crafts, activities, and songs is available on The Resource Room. 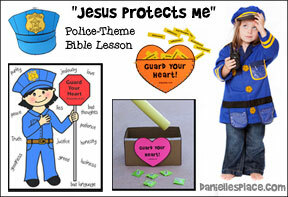 Teaching Concept: Children learn how to deal with their problems through the writings of Psalm 77. They learn that when they have problems they should think about everything God has done, meditate on his goodness, talk about it with others, and praise God for whom he is and what he has done. 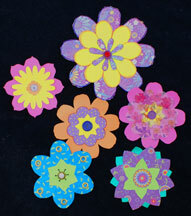 Print out the flower cards onto card stock, and cut them apart. Fold back the names so they can not be seen from the picture side. Show your children the cards one at a time and see if they can name the flowers. If they do not know the name of a flower, tell them what it is and point out its special features. After you have gone over all the names of the flowers hand out the "What to do when you are sad?" sheet. You can have the children work in teams or by themselves. Children write the first letter of each flower underneath the flower to spell out the word. The answers are: Pray, meditate, remember, talk, and praise, in that order. Before class find pictures of flowers in magazines, catalogues, books, etc., cut them out and glue them to construction paper. Write the name of the flowers on the back of the sheets. In class hold up the pictures, one at a time, and see who can guess the name of the flower first. The child who guesses the most right wins. 1. Play Flower Alphabet - Break your children up into teams, and have each team pick a team leader who wants to write down the flower names. Have each team leader write the alphabet on a sheet of paper. Team members should then try to help think of names for each letter of the alphabet. The team who thinks of the most flowers after a certain time period wins. 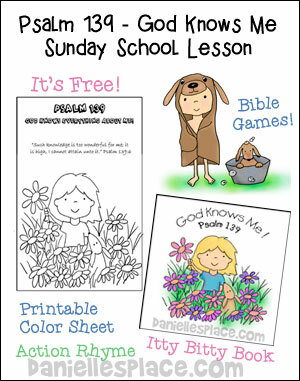 A Complete Bible Lesson with crafts, activities, and songs are available on The Resource Room. 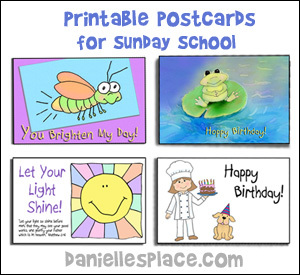 Teaching Concept: All of creation glorifies God, and we should glorify him too. The beautiful morning glory flower has a perfect name because it glorifies God in the morning. When seeing the morning glory glorify God we can be reminded to glorify God in the morning. It is good to praise the Lord. This is a great outside summer game because the children get wet. Display three watering cans on a table. Write the names of three different kinds of flowers on tape and stick them to the table in front of the watering cans such as: morning glory, pansy, and rose. Fill one watering can until it is almost full, the other halfway full, and leave the other empty. Have the children take turns sitting in front of the table with their backs to the table so that they cannot see the watering cans. The person who is in charge of the watering cans (children can take turns) mixes up the watering cans so that the child sitting in the front does not know which one is in front of which flower name. The child then yells out one of the flower names. The person in charge of the watering can then picks up the water can behind that name and pour it on the child's head. 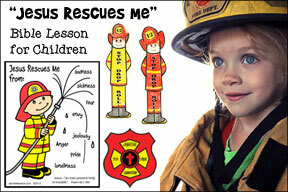 If a child gets wet, he must say the Bible verse. Keep playing until all the children have had a turn to guess and pour. Dirt Relay - Divide your children up into teams and have them line up in rows at one end of the field. Place small flowerpots at the other side of the field opposite from each team and place a bucket of dirt near each team. Give the first person on each a spoon. Children take turns picking up a spoonful of dirt and running across the field and dumping it into the pot. The team who fills up its pot first wins. Seed Race - Give each child a seed and a straw and have them line up across one side of the room. The child that blows his seed across the room to the other side first wins. You can use seeds from oranges, pumpkins, beans, etc. 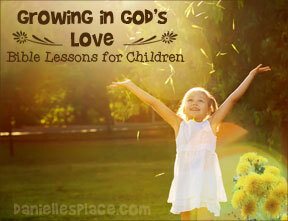 Teaching Concept: God's love is everlasting. He never changes, and we can always count on him. He is ready to forgive us when we call on him. The easiest and cheapest way to preserve flowers is air-drying. Cut the flowers while they are at their peak on a warm dry day leaving plenty of stem, tie them together in bunches, and hang them in a warm, dry, shady place for about a week. Many flowers dry very well with this technique such as: statice, roses, baby's breath, yarrow, strawflowers, and any other sturdy flowers. 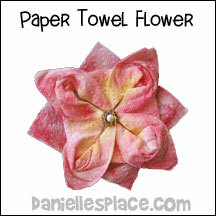 Flowers can take up to a week to dry using this method depending on how dry it is in your area. Silica Gel - The second way is using silica gel. (It isn't a gel, but is more like sand.) It isn't cheap, but it can be used over and over again. This method is very easy. All you do is place the flowers face up in a little bit of sand and then slowly fill in around the flowers with sand until the whole flower is covered. The silica absorbs the moisture quickly which preserves the flowers without as much fading. Follow the directions on the package. Flowers take only a few days to dry using this method. Spray your dried flowers with a clear paint to keep them from reabsorbing moisture. Pressed Flowers - Pressing flowers between the pages of books works well, but you can only use thin flowers or petals, and flat leaves. Place waxed paper between the pages to keep the flowers from sticking to the pages of the book. Pile other heavy books on top and let them dry for at least a week. 1. 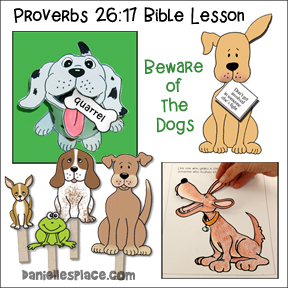 Write the Bible verse in the middle of a piece of colorful printer paper. 2. Glue dried flowers around the verse to decorate it. Then glue the sheet to a piece of construction paper to make a frame. 1. Use tacky glue to glue the Spanish moss to the wreath. Spread the glue on the wreath where you would like the moss to stick. 2. Glue the rest of the flower and leaves on to of the moss. 3. 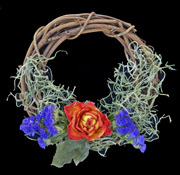 Cut away any of the straggly moss to make your wreath look neat. (I used dried yellow roses that turned almost orange when I dried them and blue statice.) Pieces of baby's breath would also look very pretty in this arrangement. 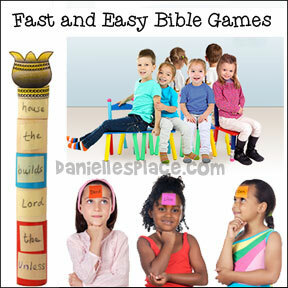 Have your children sit in a circle and start the game by saying, "His mercy endureth for ever . . ." and then state one thing that shows God loves us. 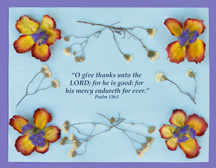 For example, you could say, " His mercy endureth for ever; he has created beautiful flowers for us to enjoy." Then the person next to you should repeat what you said, and add another statement shows God's love for us. Keep playing until everyone in the circle has had a chance to add something. Finish by repeating everything everyone has said. Divide your children up into teams and have them line up in rows at one end of the field. Place small plastic jars or watering cans (all the same size) at the other side of the field opposite from each team and place a bucket of water near each team. Give the first person on each team a plastic flower pot (They should have holes in the bottoms.) Children take turns dunking the pots in the buckets of water and running across the field to empty them in the jars or watering cans. Children may try to cover the holes at the bottom of the pots with their hands so that they don't lose too much water. The team who fills up its pot first wins. (Instead of using plastic pots you can use newspaper pots. If you use the newspaper pots let each child makes his or her own pot to use in the relay. Give each child a seed and a straw and have them line up across one side of the room. The child that blows his seed across the room to the other side first wins. You can use seeds from oranges, pumpkins, beans, etc. Divide your children up into two teams and have each team stand in a line. Give the first person in line from each team an everlasting flower such as statice. Make sure they are all about the same size. Tell your children that the first person in each row should pass the flower the next person in the row and each child should keep passing it until it gets to the end of the row. The child who is at the end of the row should then run to the front of the row and pass the flower again. Keep playing until the child who was first in line is first in line again. Tell your children that they get 10 points for being the fastest team and 10 points for having the flower that looks the best after that round. Play five rounds and add up the points. The team with the most points wins. Teaching Concepts: Sunflowers are beautiful flowers that stand out because of their size and bright colors. Jesus can be compared to a sunflower. He lived a life that stood out among all others. He showed us how to live by the fruits of the Spirit and planted the seeds of those fruits in our hearts. When the fruit of the Spirit grows in us we become more like Jesus and glorify God. Have you ever looked at a sunflower? A sunflower looks like a very large flower, but if you look very closely you will see that the head actually contains hundreds of tiny disk flowers or florets that are all crowded to together in the center of the head. The big yellow petals surrounding the head are called ray florets. The florets in the middle of the sunflower head are the ones that produce the seeds. But what you think of as the seed is really the fruit of the sunflower called an achene "akene". Each fruit contains one seed. Logan wants to grow sunflowers that reach all the way to heaven by the end of the summer. 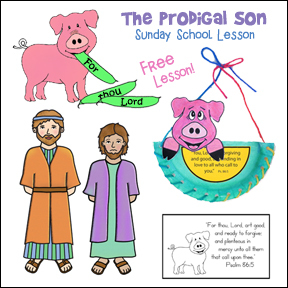 With the help of his wise father, Logan learns how important it is to not only plant seeds in the ground, but to plant them in the hearts of his friends and neighbors. Before class prepare the parts for two flowers. Cut out petals, leaves, stems, etc. 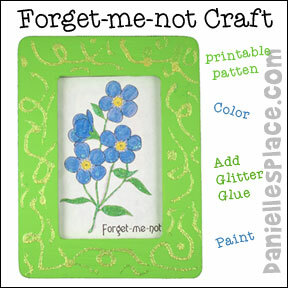 (You can use the same flowers you used for the bulletin board.) Divide the children up into teams. 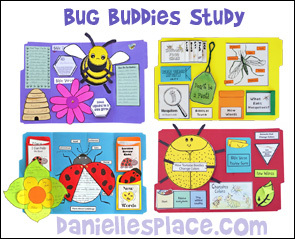 Take turns asking the teams questions from this lesson and previous lessons. If a team gets a question right, let a team member add a part to their flower. The team that builds a complete flower first wins. Teaching Concept: We can be at peace in a chaotic world. We don't have to be worried or afraid. 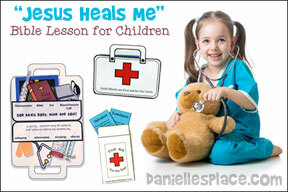 In this lessons children learn how they can have the peace that passes all understanding. 1. Before class print out the patterns on how to make flowers with eight petals like the cosmos flowers and flowers with six petals. 2. 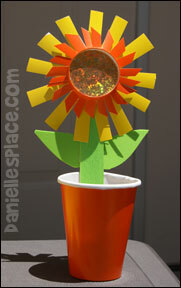 In class let your children pick out different colors of paper and then demonstrate how to make the flowers. 3. 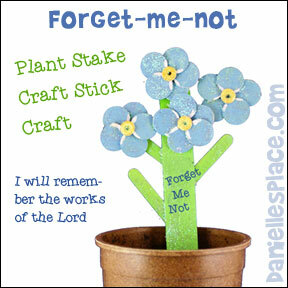 Make a bulletin board display with all the flowers or have your children write the verse on the back of the flowers. Before class prepare the parts for two flowers. Cut out petals, leaves, stems, etc. 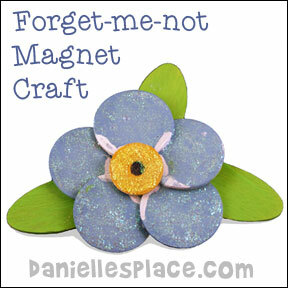 (You can use the same flowers you used for the bulletin board.) Divide the children up into teams. Take turns asking the teams questions. If a team gets a question right, let a team member add a part to their flower. The team that builds a complete flower first wins. Mrs. McGee, walking by a beautiful garden, can't help but wonder whose garden it is. A gardener appears and states that he is the owner of the garden because he plants it and grows it. But Mrs. McGee soon hears from a rabbit coming from the garden who says he disagrees, and claims that the garden belongs to him because he lived there his whole life. A the end of the book the author asks, "Other animals claim to be the owners each giving a good reason why they think the garden belongs to them; even the flowers, a tree, the rain, and the sun think the garden belongs to them. Mrs. McGee heard from everyone and everything in the garden, but she still wondered who the garden belonged to. re you still wondering whose garden it is?" Of course, if children have been learning from the "Growing in God's Garden" lessons, they will know who the garden belongs to. Before class print out the Flower Spinner Game Board and glue it to a piece of cardboard or foam core board. Place a large paper clip in the center of the flower secured by a thumbtack. Don't press the thumbtack down to tight or the paper clip will not spin. Have your children take turns spinning the paper clip. The children should read the word or words on which the paper clip stops and give an example of the particular thing they can think on. For example, if the paper clip stops over the lovely word, the child may say, "I can think about lovely flowers." 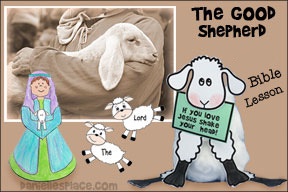 Or if the paper clip stops over the "worthy of praise" words, he may stay, "I can think about Jesus dying for our sins." Have your children paint a flowerpot and then plant Cosmos seeds. They are one of the easiest plants to grow from seed.